I have a 1998 Boxster. 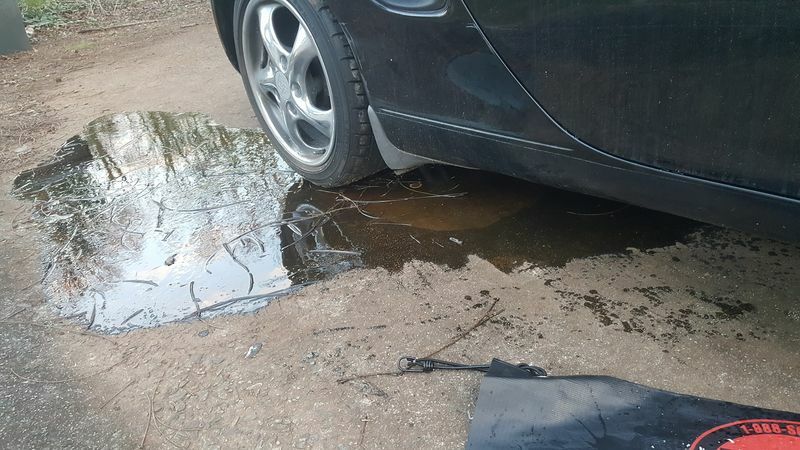 One night I go to start my car, and the oil is spraying on to the drive way. After lifting the car I can see exactly where it's coming from. I was told that i needed to order a new freeze plug or expansion plug. So it turns out that wasn't the correct part. I know I'm missing some sort of cap or plug I need help finding this part. Have you checked to see if you have oil in the coolant or vice versa? Do you have excessive smoke/steam coming out of the exhaust? I haven't checked the oil or coolant and I didn't see smoke coming from the exhaust. Just oil spilling out the hole. AOS may be pressuring crankcase. AOS can't pressurize the crank case. It uses vacuum to lower the crank case pressure. Correct, but if the AOS fails, blow by from the low tension piston rings will. Mine popped out because I blocked an oil drain in the cam cover with sealant. I was replacing the solenoid on the right rear of the engine. My guess would be that something is restricting the oil drain. Don't know about a bad AOS. Sure does make a mess, tho. There is a good chance that you do need to replace the camshaft expansion plug in the end of the cam pointing toward your leak. The cam/"valve"cover must come off to do this, to prevent this from happening again replace the oe plug with a pipe plug, 1/4" I think. This is a huge,"while you are in there" project so you may want to consider if you are "IN' for the long term or sell as-is now. This is one cause, sometimes it just comes out due to poor fitment from manufacturing. So thanks for helping me find the cam plug. So after installing my new cam plug, I let the car idle for about 5 minutes. Everything appeared normal. Then the rpms started to rise and idle around 2000 rpms. So I check under the car and the new cam plug blew out again. What is causing the plug to keep popping out? You're building pressure in the crank case. Sounds like at least one of two things: failed AOS. Or, I've read about an oil return passage in the cam cover that gets blocked and causes the same thing. No, I haven't tried removing the cap while idling. So if my AOS has failed, shouldn't I have a check engine light or something? Not necessarily. The optimum method to test the condition of the AOS is to use a digital manometer attached to an old oil fill cap. Warmed up, the system should read 5 inches of water or less; if it reads higher, or you read pressure, it is toast. What's been the most common cause, in your experience? If my opinion below was way off the mark, I won't be offended if you correct me, haha. 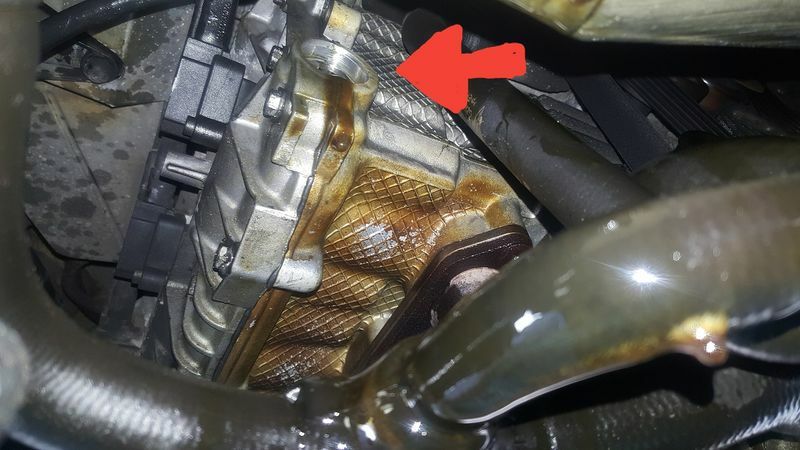 These pop out due to pressure problems, either from a build up of crankcase pressure due to the loss of vacuum from an AOS failure, or due to unusual oil movement caused by a blocked oil passage or having the cam end plug come out. In order of commonality, I would go with AOS failure first, oil passage blockage second, and the cam end plug last. Again, this is why you need the digital manometer, with the car idling and the plug installed, little or no vacuum in the crankcase, or pressure build up, would point to the AOS. Again, this is why you need the digital manometer, with the car idling and the plug installed, little or no vacuum in the crankcase, or pressure build up, would point to the AOS. Can the digital manometer I bought for the 987 Cayman be used on the 986 Boxter? the sealant on the cam cover looks heavy and non OEM. Have you had any engine work done recently? Sure, you could use it on any car, you just need to make sure the oil fill cap is the same, or like we do, have multiple cap "adaptors" for different cars. We have seen worse than that from the factory...…. All times are GMT -8. The time now is 10:21 PM.